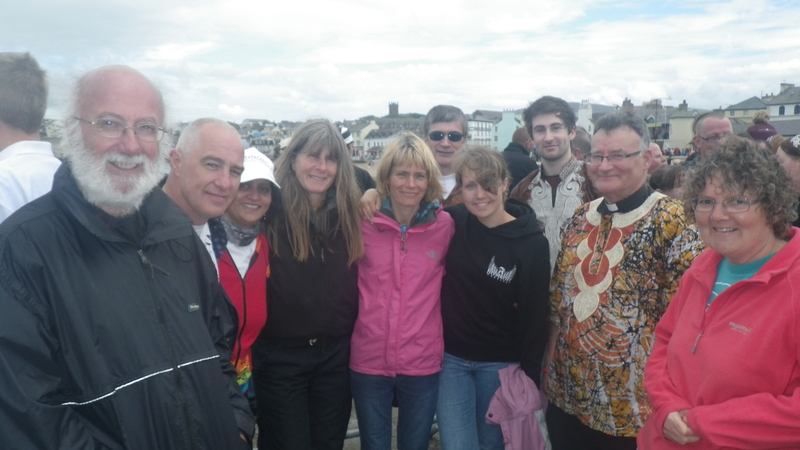 This is the intrepid One World Centre crew for the Peel Viking Boat Race. From left to right: Ian Costain, Barry Phillips, Daxa Patel, Judy Needham, Lucy Swift, Phil Gawne, Lucy Swift, Ewan Gawne, Nigel Godfrey, Rosemary Clarke. It is the first time that we have entered the race, and 29th out of 42 mixed crews in a time of 1’33.45″ was very respectable. It was a fun afternoon – would you like to join us next year?